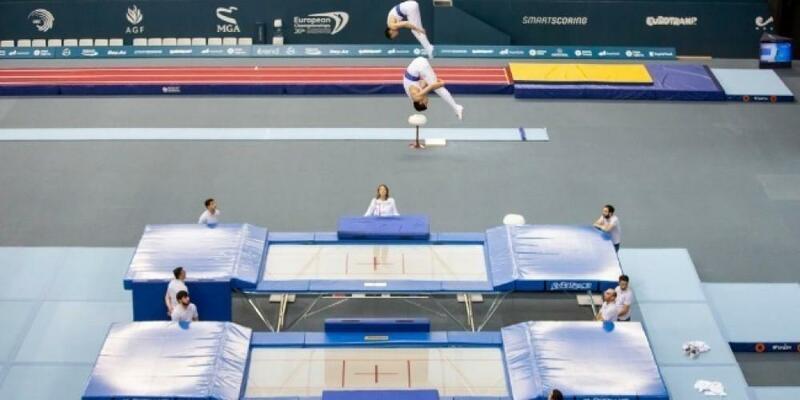 The participants` names of the World Cup in Trampoline Gymnastics and Tumbling to be held in Baku on February 16- 17 have been revealed. More than 200 gymnasts from 31 countries will take part in the competition, Azertag reported. Thus, the Olympic stars - Hancharou Uladzislau, Maclennan Rosannagh, Burnett Jason, Dong Dong, Gao Lei, Ushakov Dmitrii and Page Bryony will compete at this World Cup qualifying for the Tokyo Olympic Games and being one of the most important contests of the year for the jumpers. Baku`s spectators have a chance to enjoy spectacular performances of many Olympic prize-winners. The World Cup with a participation of not only the Olympic medalists, but also the World and European Championships prize-winners promises to have the highest level of rivalry. As for the Azerbaijani team, it will be represented in the men's competition by Ruslan Agamirov, Ilya Grishunin and Oleg Piunov, who will perform individually and in the synchronized jumps. Silver medalist of the European Championship Veronina Zemlyanaya will also take part in the FIG World Cup. European champion Mikhail Malkin will compete in the tumbling event. Gymnasts with the maximum score will be awarded with the AGF Trophy. It should be mentioned that eight World Cup events qualifying for the Tokyo Olympic Games in Trampoline Gymnastics will be held in 2019 and 2020. Baku will host two of the mentioned competitions.